Want To Redefine Your Smartphone Experience? 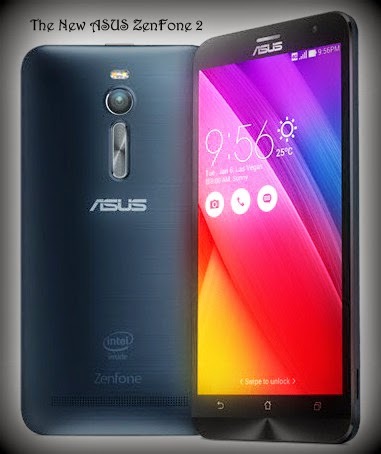 Get The ASUS ZenFone 2. I have been a great fan of the ASUS smartphones from the time they launched their ZenFone series in India last year. Providing superb features in phones at remarkably low prices has been the key strategy for ASUS so far, which not only has worked out well for them but has also helped establish a foot in the door alongside big players like Samsung and Apple. Taking their success a few notches higher, the Taiwanese company is planning to launch the high-end ZenFone 2 (ZE551ML) with 4GB RAM on April 23 this year at a price tag of INR 20,000. This variant of the ZenFone will only be available in four colors, including Black, Silver, Red, and Gold. In this blog post, I will list the Top 5 reasons why the ASUS ZenFone 2 could redefine your smartphone experience. Unarguably this is the first smartphone in the world to ship with 4GB RAM. With that much RAM, you could multitask by running several apps at the same time and switch between them without any hassle. I am a big fan of night photography. The ZenFone 2 has a 13-megapixel rear autofocus camera fueled with PixelMaster technology. Shooting in optimal lighting conditions is such a delight with the ZenFone 2, which also has a 5-megapixel front camera. If you're someone like me who likes clicking in low light, the sharp images taken with this phone will blow your socks off. Shoot up to 400 percent brighter photos at night. You can even capture detailed images at a resolution of up to 52-megapixel using the Super Resolution mode. For those who are in the business of making videos using smartphones, you can record 1080p full HD videos using the rear camera's Video mode. Won't it be great if you could recharge the phone's battery to 60 percent of capacity in flat 39 minutes? With ASUS BoostMaster technology, it is now possible to perform fast charging. Simply put, a fast charging of 10 minutes can provide you 4 hours worth of 2G talk time. That's awesome to say the least! The design of the new ZenFone 2 is significantly different from its predecessors. Comparisons are unnecessary as the placement of physical buttons has changed completely in its new avatar. For instance, the Power button has moved to the top, adjacent to the audio jack. Even the Volume buttons have moved to the rear, beneath the primary camera lens. Plus the removable plastic rear panel in ZenFone 2 is rendered with a brushed-metal finish, giving it a feel-good, premium look. The ZenFone has achieved a 72 percent screen-to-body ratio, which enhances the viewing experience exponentially. Finally, I cannot wait until next week when ASUS will take us through a magical ride, redefining the way we use our smartphones.